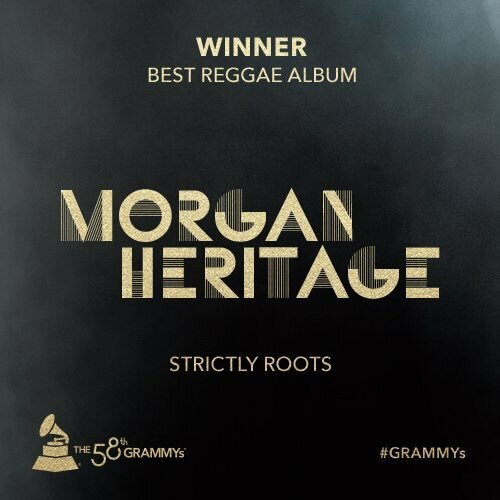 The Royal family of Reggae, Morgan Heritage are the proud recipients of the 2016 Grammy Awards for Best Reggae Album. They walked away winners with their Strictly Roots album sharing their appreciation with fans on social media. 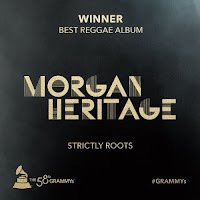 Jah Cure, Barrington Levy, Luciano and Rocky Dawuni were the nominees in the category along with Morgan Heritage this year. Lamar in an acceptance speech for Best Rap Album of five Grammys received said, "This is hip-hop...We will live forever.." .... So will Dancehall. As published in Gleaner Jamaica: Popular United States-based online blogger Nerd Writer has rubbished an assertion made by music magazine, Rolling Stone, that Rihanna's recent single Work, is from the tropical house genre, and not dancehall. According to Writer, Rolling Stone was wrong this time around since the record literally samples the classic Sail Away dancehall rhythm released by Richie Stephens in 1988, and reflects all the attributes of a dancehall record. In a six-minute video posted on YouTube.com, the journalist provided facts to prove that Work is rooted in dancehall and even played songs from the tropical house genre to show the huge disparity in sound. "This song is not tropical house music, nor has it descended from tropical house. Work is a dancehall song, a genre which has a rich tradition in Jamaican history, and a mistake like this is the perfect excuse to take a closer look at some of the popular trends in popular music," he said. Writer also said that tropical house is a slow-tempo type of house music which usually features instruments like steel drums, marimba, pan flutes, among other instruments from the Caribbean and Africa. He also suggested that OMI's hit record Cheerleader, featuring Felix Jaehn, is more of a tropical house record than Work. Also brought under the microscope according to The Sunday Gleaner....The journalist even compared the instrumental of Sorry (by Justin Bieber) to Shabba Ranks' Dem Bow record to prove his point, while highlighting that the producer of Sorry, Skrillex, is known to dabble with dancehall, along with his frequent collaborator, Diplo. Coincidentally, the Dem Bow instrumental is also credited for the birth of the entire reggaeton genre. When The Sunday Gleaner last spoke with creator of the instrumental, Bobby Digital, he didn't seem willing to fight for his glory. 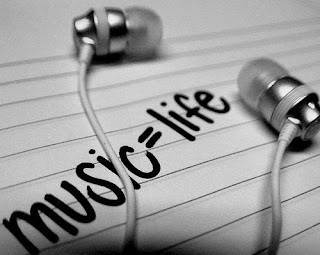 "Yu see music, wi love it in such a away that when yu see somebody with yu pattern, yu see that yu did something right or else other people would'nt want to pattern off it. Di nuh world nuh stop yah suh, and from yu get yu props, one day it muss pay off," he said. Writer also say, "I have nothing against the new genres of music, even something as short-lived and characterized as tropical house, but I also think it is important to recognize the lineage of tropical house...Jamaica's popularity and lineage will remain durable as long as there are great artistes willing to put the rythms to work," he said. Even Minister of Youth and Culture Lisa Hanna could not resist taking a jab at the Rolling Stone article. She took her grouse to social media, urging the magazine to give dancehall its due credit. "Check your facts Rolling Stones Magazine. Rihanna's Work is dancehall. Rihanna sampled the classic Sail Away rhythm, a 1988 Jamaican rhythm by Richie Stephens and Mikey 2000. Rihanna publicly gave credit. Why can't you? Rolling Stones should give the credit to our music, it comes from Jamaica." When contacted, Richie Stephens, who has been on a campaign to reduce the impact of Rolling Stone's inaccuracy told The Sunday Gleaner that persons have been on a mission to re-brand dancehall's culture. He also pointed out that the music video for Sorry, which featured Jamaican dance moves, had no Jamaican dancers, neither did the overseas-based choreographer bother to give credit to the Jamaicans who created the moves. As it relates to Rihanna's single, Work, he told The Sunday Gleaner, "The fact that the song comes from rhythm, being analysed means it has to be dancehall is the template. Rihanna has also given credit to me and that also shows that Work is dancehall. I want to big up Rihanna and the producers for choosing my rhythm and dancehall because there are so many other genres that they could have featured instead," he said. Work, which also features Drake, currently sits at No. 7 on Billboard Hot 100 chart after only two weeks. Several Jamaican artistes have also hopped onto the instrumental with home-made remixes. "I am happy for social media because it gives people a voice, and they really went in at Rolling Stone for the comment to the point that they forced to apologize. People have been doing this to us for years because Jamaica is a small country but we need to start speaking up" Richie Stephens.